Throughout this journey there have been small victories, but on January 22nd I believe I had a very big victory. Monday the 20th of January, was my birthday. As I've gotten older my birthday's have become just another day, and I believe this is true for many people. You begin to not celebrate the small victory that is making it to a year older. We often view this day, not as a victory, but as just another day to push through, only with cake. This year I almost did the same thing, pushed through the day like it was no big deal, but instead I chose to make something big happen. As many of you have seen I have my bucket list posted on this site. There's nothing special about my bucket list compared to other people's, it changes, morphs, and adapts just like I do. In the beginning of this blog though I tried to be sure several things got marked off every year. In the past few years that's kind of gone by the wayside. When I moved to Colorado, and was able to mark that off I kind of stalled with my goals and dreams. For some reason just being was enough for a while. I think we all need to do that sometimes when things get overwhelming, but we also need to pull ourselves out of that and get back to doing things that make us a bit uncomfortable sometimes. So since I didn't do much last year for my big landmark birthday...I decided I needed to do something this year. 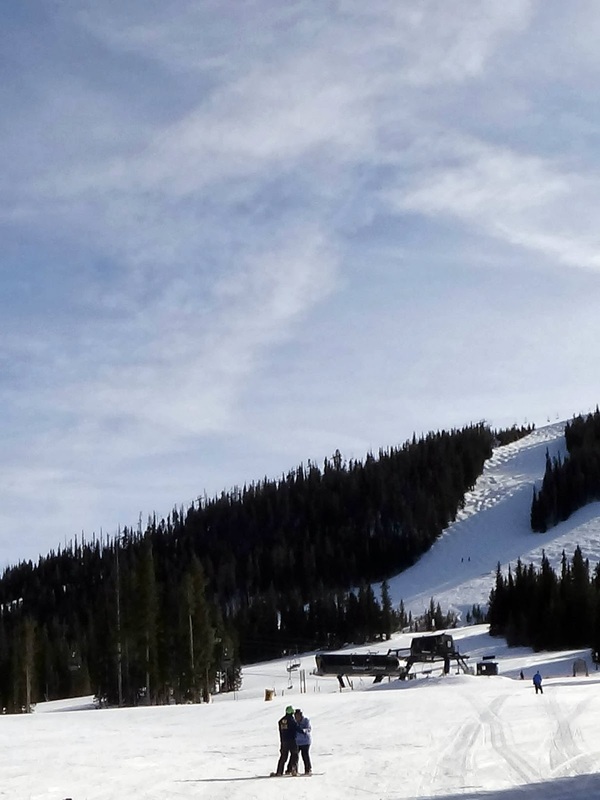 In March I will have lived in Colorado for two years, and one of the most common questions people ask you when you tell them you moved here is, "Do you ski/snowboard?" I laugh because winter sports like skiing and snowboarding are such a big thing here, and sports of any kind have never been a big thing in my own life, with the exception of a soccer stint in Middle School. I've always wanted to learn how to ski though, even before I moved here. So after talking to some people about where to go to get lessons (I was not just going to strap some wood to my feet and hope for the best, I wanted to really learn how to not kill myself, lol), and learning about the differences in learning to ski and snowboard I signed up for a lesson at Winter Park Resort with my friend Leigh Ann who was also a novice to learn the basics of snowboarding. My very first attempt to move with both feet strapped in! 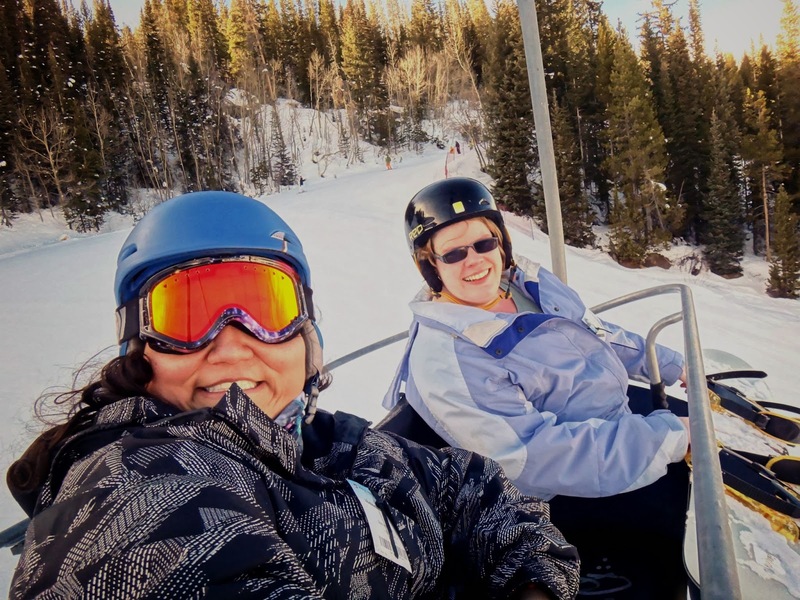 Getting off the chairlift may be the most difficult part about snowboarding! Trying to go down the big hill for the first time! Just taking a break because my legs were Jello! 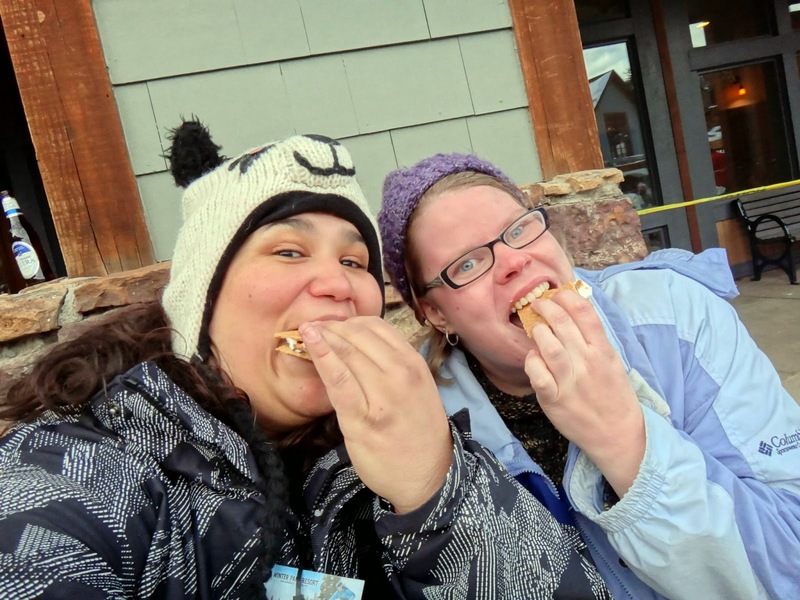 I think every snowboarding trip should end with s'mores!! 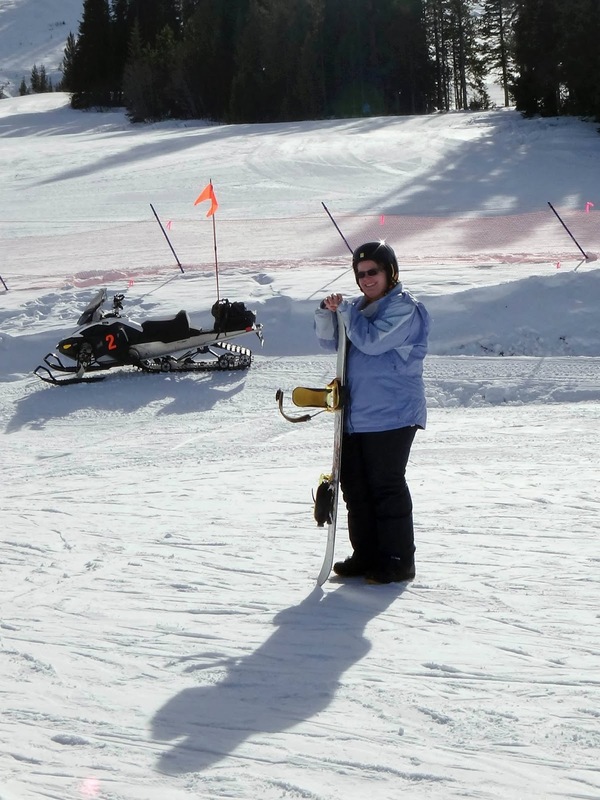 My new goal is to be able to snowboard for at least 5 feet solo, without having to have the instructor hold on to me. 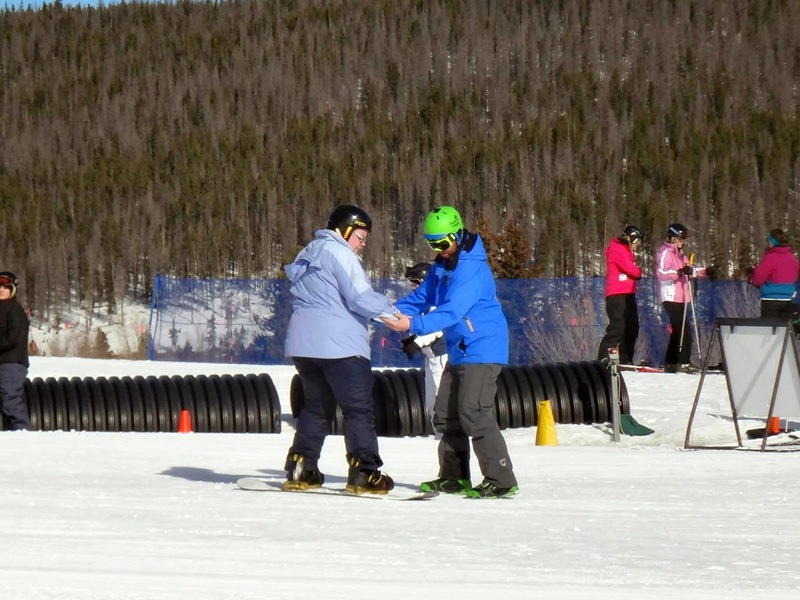 I have a feeling if I go back to the Ski + Ride School in Winter Park that will happen no problem. (Seriously if you want to learn, go there they're amazing!!) Many people would say that I didn't actually accomplish what I had marked on my bucket list, I didn't fully learn how to snowboard in one 6 hour day...but I disagree that it shouldn't be marked off. Not only did I accomplish getting up on a snowboard and learning about heel side, and toe side and how to do them. But I think that by getting out there and trying it was a huge accomplishment. We have to remember that we aren't going to be experts at everything, but that doesn't mean that by trying we didn't accomplish it. I decided to put my thirty-something year old self out there and try something new. Something many people will never try in their lives due to fear, or use their age as an excuse. Not only was it a victory for doing it in the first place, but it was a victory for doing something many people wouldn't have. This year I remembered that age is only a number, and only holds us back from the things we allow it to.